Unisex fit pullover hoody with large RHUL ACS logo printed across chest in coordinated colour scheme. 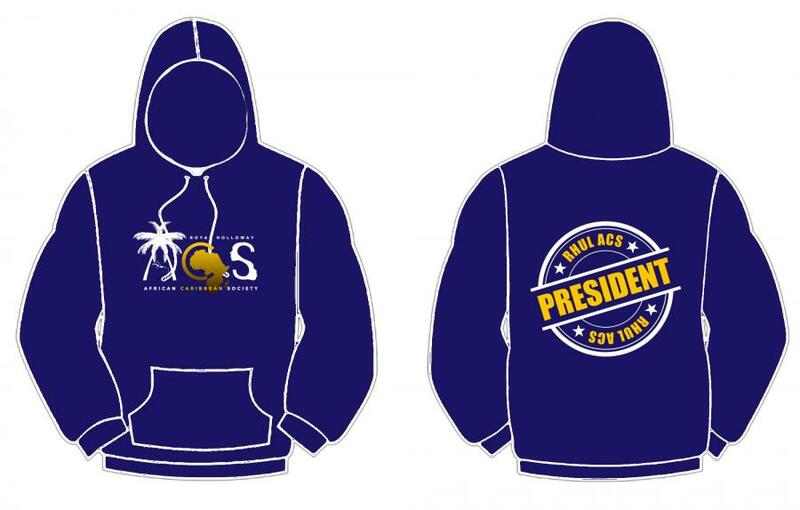 Large RHUL ACS design on back with personalisation option. Optional personalisation printed in centre of back logo - if no personalisation is entered 'RHUL ACS' will be printed.